three × five = Required Please enter the correct value. Check out 12 of Wednesday's hot stocks on the move, and see what's behind their action. American International Group (NYSE: AIG) begins our list of Wednesday's hot stocks to watch. Shares of the insurance giant rose 2.5% to a 52-week high of $54.03 after Goldman Sachs upgraded AIG to "Buy" from "Neutral" and hiked its price target to $63 from $50. 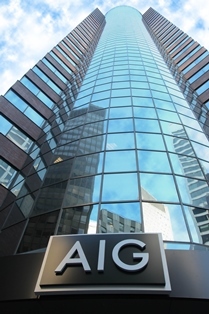 "We believe AIG will generate high capital and is best positioned among SIFI [systematically important financial institution] candidates to deploy capital accretively into its core business if large scale buybacks are not a near term option," Goldman analyst Michael Nannizzi said in regard to the upgrade. China Ming Yang Wind Power Group Ltd. (NYSE: MY) shares gained 23% to $3.27 after posting an increase in Q1 2014 earnings and revenue. The Chinese wind turbine manufacturer said Q1 revenue came in at $196.9 million, up from $129.7 million in the same quarter a year ago. Income surged to $29.9 million, up from $0.07 million a year earlier. Find Money Morning's favorite wind energy stocks here. Cisco Systems Inc. (Nasdaq: CSCO) shares climbed 1.33% to $24.45 after Stiefel upped its price target on the IT provider to $28 from $25. According to Thomson Reuters, the median price target among 10 analysts who cover CSCO is $26. Google Inc. (Nasdaq: GOOGL) shares rose 1% to $546.38 on news the Internet search giant has unseated Apple Inc. (Nasdaq: AAPL) to become the world's most valuable global brand in the "2014 BrandZ Top 100 Most Valuable Global Brand" ranking. Apple slipped to No. 2. "Google has been hugely innovative in the last year with Google Glass, investments in artificial intelligence and a multitude of partnerships that see its Android operating system becoming embedded in other goods such as cars," Nick Cooper, Managing Director of Millward Brown Optimor, a leading global brand researcher, said in a statement. 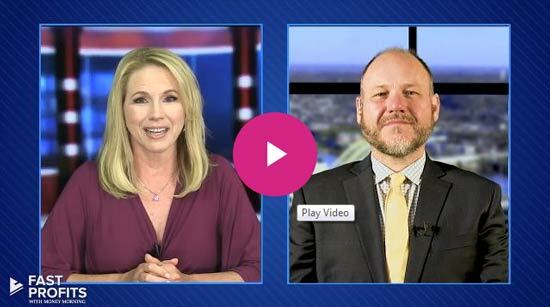 Money Morning Defense & Tech Specialist Michael A. Robinson explains why he's bullish on Google here.